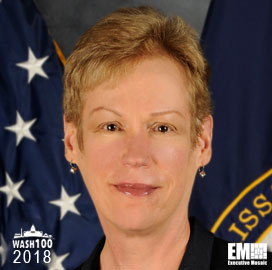 Executive Mosaic is pleased to announce Betty Sapp, current director of the National Reconnaissance Office, has been inducted into the 2018 edition of the Wash100 — Executive Mosaic’s annual selection of the most influential voices in the government contracting arena–for her work in spearheading intelligence efforts in satellite reconnaissance pertaining to matters of national security. Sapp, appointed as the 18th Director of the agency in July 2012, supervises and directs all that the NRO does, carrying out assignments issued by the defense secretary and the national intelligence director. Others in the intelligence community saw Sapp’s potential from miles away, enthused by her attention to detail, experiential prowess and leadership method in exercising acquisitions and operations. Sapp shared with the group that “We’ve always done well on performance. Cost and schedule–not so much, in the past, but we’ve changed that, and we’re doing very, very well,” she said. “The notion that we should be more transparent about who we are and what we do makes a lot of sense,” Sapp said. DNRO Sapp started out her government career as a United States Air Force officer in a variety of acquisition and financial management positions, including: business management positions within the NRO; Program Element Monitor at the Pentagon for the MILSTAR system; Program Manager for the FLTSATCOM program at the Space and Missile Systems Center in Los Angeles, California; and manager of a joint-service venture at the Wright-Patterson Air Force Base in Dayton, Ohio. 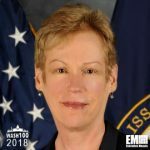 She joined the Central Intelligence Agency in 1997 and took on senior management positions, including that of Deputy Director of the NRO for Business Plans and Operations; Deputy Under Secretary of Defense for Portfolio, Programs and Resources; and Principal Deputy Director of NRO (PDDNRO). Executive Mosaic congratulates Betty Sapp and the NRO team for receiving this award.